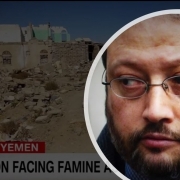 The media outrage over Jamal Khashoggi's death is appropriate. The lack of outrage over war reflects a culture that has bought the lie of war from a media that normalizes violence. Robert Koehler asks, "Why do only some lives matter?"